I was approached by the contractor to do 4 different cabinets that the original cabinet maker did not want to do. I agreed to finish the projects specialty cabinets: TV cabinet built in to the stone fireplace wall, barbecue cabinet, garage storage cabinets with butcher block counter-tops and an AV cabinet. 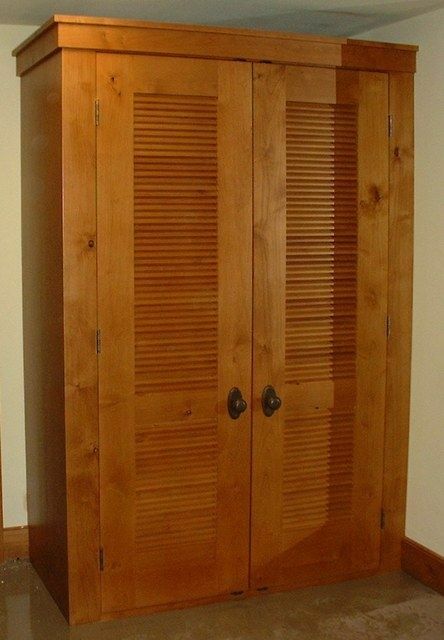 Client wanted a pair of louvered doors made with the cabinet.